The Society has been organising or assisting with the organisation of epigraphic summer schools and workshops on a number of occasions (some examples are listed below!) which focus on the practical skills needed for studying epigraphic documents at first hand. A knowledge of these skills is essential for those who plan to work in the field or in museum collections, but is equally indispensable for those consulting published editions of inscriptions for research purposes. A key component of these courses is hands-on experience with inscriptions, typically in a museum setting to foster an appreciation for finer points of detail which can only be observed at first hand; this may include the making of drawings, photographs, and squeezes of real inscriptions. Below a snapshot of the instruction in letter-cutting received by one participant at a practical epigraphy workshop from the late Richard Grasby. - Practical Epigraphy Workshop 2019, org. by Dr A. Graham: course information. - BSA Postgraduate Course in Epigraphy 2019, org. by R. Pitt: course information. 02-12 July 2001: Epigraphy Summer School, Oxford. 05-15 July 2004: Epigraphy Summer School, Oxford. 27-28 June 2007: Practical Epigraphy Workshop, Caerleon. 24-26 June 2008: Practical Epigraphy Workshop, York. 22-24 June 2010: Practical Epigraphy Workshop, Newcastle. 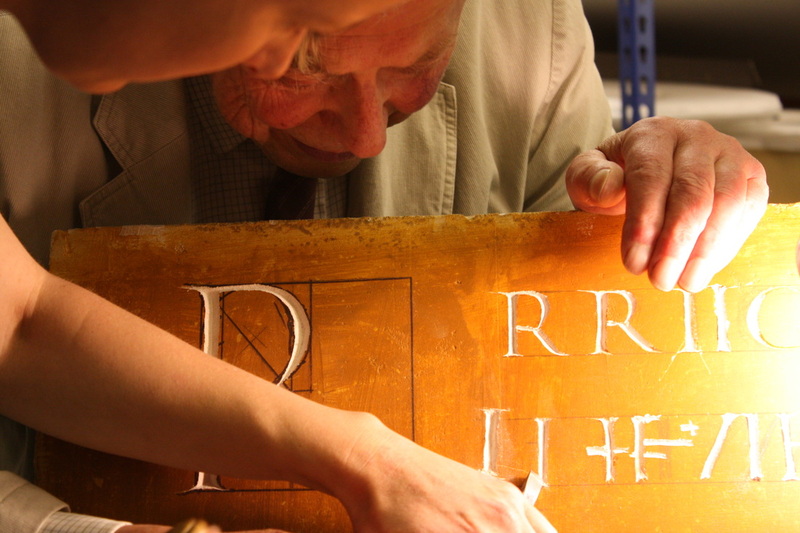 28-30 June 2011: Practical Epigraphy Workshop, Corbridge. 19-21 June 2012: Practical Epigraphy Workshop, Oxford. 3-7 August 2015: ﻿The BES London Summer School in Greek and Latin Epigraphy﻿.